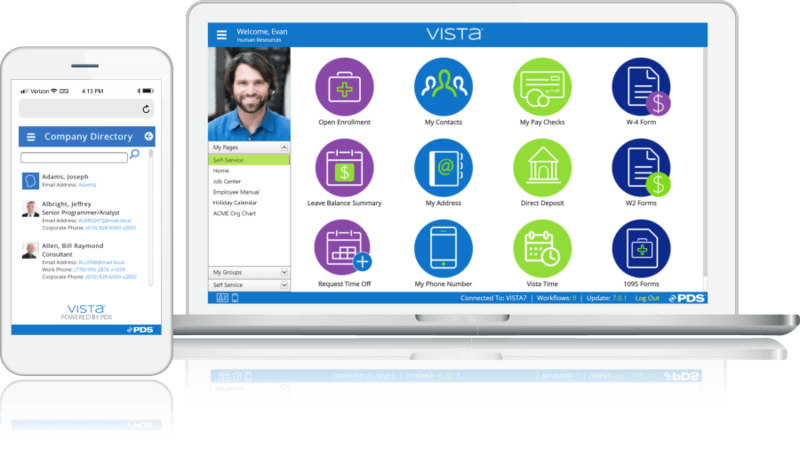 Whether your workforce accesses Vista® through a computer during the day, uses a smartphone or tablet, or even has access to your secured site from their home computer — you can use Vista to empower your staff. Don’t Have a Company-wide Intranet Already? Vista includes a portal to promote company information. You’re provided with the means to easily add and manage content. Individual departments can also post their own information (e.g., simplify sharing links to benefit carriers’ websites). Want to Know More about Our Self-Service Offerings?